Hey guys! I hope your fall season is going great so far! Thanks so much to the 200+ people that have fanned my page. I am truly grateful. To show that, here is a fall freebie on adding to make 10. 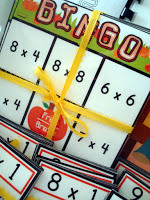 You can also use this for the little ones in number recognition and ordering. You didn’t miss my Pumpkin Poke Addition Facts Game, did you? 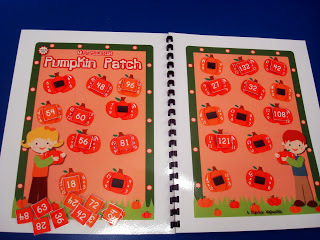 And you do know I have a new MagnetMat out on multiplication facts that is full of reinforcement activities to master those facts during the pumpkin pickin’ season? Click here for the TpT listing. Click here for the Currclick listing. Ok, last but not least, I’m going to give away a hard copy of ALL the materials in my latest MagnetMat for you to use in your classroom or home. 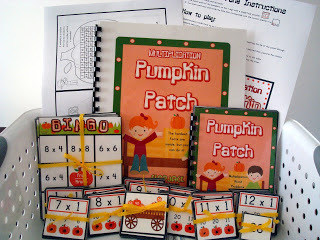 This includes the Multiplication Pumpkin Patch MagnetMat. Also included is a master copy of a multiplication B&W reader on factors, products, multiples, etc., a “Multiplication Word Problems” book, and a multiples matching game. All materials are printed with a laser jet printer on quality paper and laminated with 3mm laminate (if you were curious ;)). 3) Share this blog post in your blog or FB wall. 6) Leave positive feedback for Making 10 Sheaves Game at TpT or Currclick. 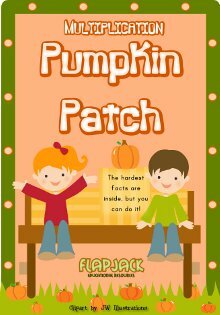 7) Leave positive feedback for Pumpkin Poke Addition Facts at TpT or Currclick. For each thing you do or have already done, just let me know HERE on this blog, and it will count as a separate entry. And leaving your email is a great idea. Contest deadline is this Sunday at 12:00 midnight (est). Thanks for participating! I shared your blog on my FB page. I loved your Making 10 Sheaves! So I left a positive feedback on currclick. TY! I love this gift! I liked your FB and I am now following your blog! Thank you for the opportunity! Love from one GA Peach to another! I'm so excited to use your making 10 activity! 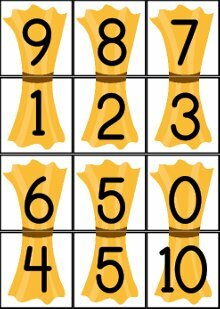 I just taught making tens the other day and need a new activity for the kids to play! THanks so much!! I liked your FB page and follow your blog. I'm liking your Facebook page and following your blog. I hope you are seeing increased activity since your blog and store are featured in my lastest blog posting. I just realized I wasn't following your blog; so, I joined today. I hope you will add a short posting and link up with the Trash to Treasure linky party since you were my inspiration! Didn't realize you wanted separate comments. I'm following your blog. I am now following you on teachers pay teachers! I left positive feedback for Pumpkin Poke Facts! I just left positive feedback for the Making 10 Sheaves Games! I like your FB page, follow you on Curr Click and follow you on TpT. Would love to win this for my 3rd grader who is so excited to learn her "timeses"!